Veiled against the world, and served only by the blind and short-sighted, Euryale comes to Republican Rome seeking the answer to the riddle: "What can change stone into living flesh?" 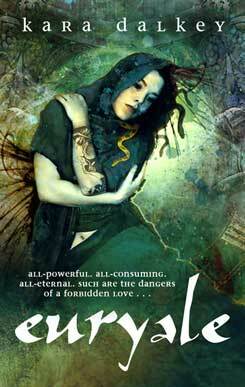 A witch might help her, but only if Euryale is willing to sacrifice the living in order to bring life to stone. A handsome Chaldean philosopher may possess the answer, but she must trust him with all her secrets in order to gain the solution to her dilemma. Such are the dangers of forbidden love. 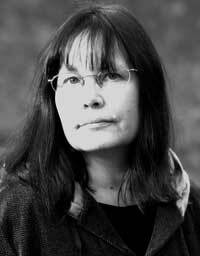 Kara Dalkey has written fifteen novels and a dozen short stories, all fantasy, historical fantasy or science fiction. Her work has been nominated for the Tiptree and the Mythopoeic Fantasy Awards. Dalkey's most recent publications are Water, a trilogy of Young Adult novels she describes as "the Atlantis and Arthurian myths mixed in a blender." Her most recent short stories have appeared in the Firebirds anthologies and Tales of the Slayer II. Her current project is an alternate history/fantasy set in early California. A native of Los Angeles, Kara now lives in the Seattle area, land of coffee lovers, writers, musicians and other creative eccentrics, where she feels right at home.